Central Tibet tour is one of the popular and interesting tours in Tibet. Tibet is known as "The Roof of the world". It lies in the southwestern part, Tibet Overland Tour of China bordering India, Bhutan, Sikkim, and Nepal. Tibet Overland Tour is more exciting for crossing the high desert, driving through over 3000m–5000m, visiting the cave & monasteries including beautiful landscapes, rich culture, ancient religion, amazing myths, and gorgeous mountains. Moreover, this tour includes historical places such as Zhangmu, Nyalam, Tingri, Xeger, Gyantse, and Lhasa. Tourists can have spectacular views of beautiful mountain peaks including Mt. Everest. Tibetan guide provides you full information and pleases you with excellent sightseeing's. The sightseeing throughout Lhasa including Potala Palace, Norbulingka Palace, the great Drepung Monastery, Jokhang monastery and walk-over crowded Tibetan market. Renowned as the last Shangri-La in the world, Tibet is isolated by the high Himalayas and is one of the least developed parts of the world. 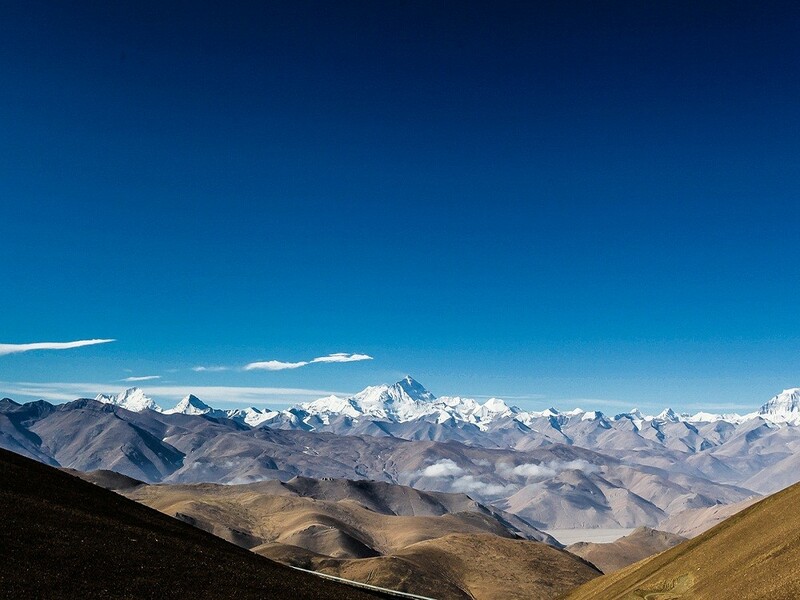 This tour is divided into three parts: Central Tibet tour offers fascinating views of the of the incredible formation of the highest plateau of the world with beautiful rocks, Cascades and canyons amidst the mighty presence of Mt. Sishapagma (8,028m). It brings you so close to the Shangri-La of Tibet. 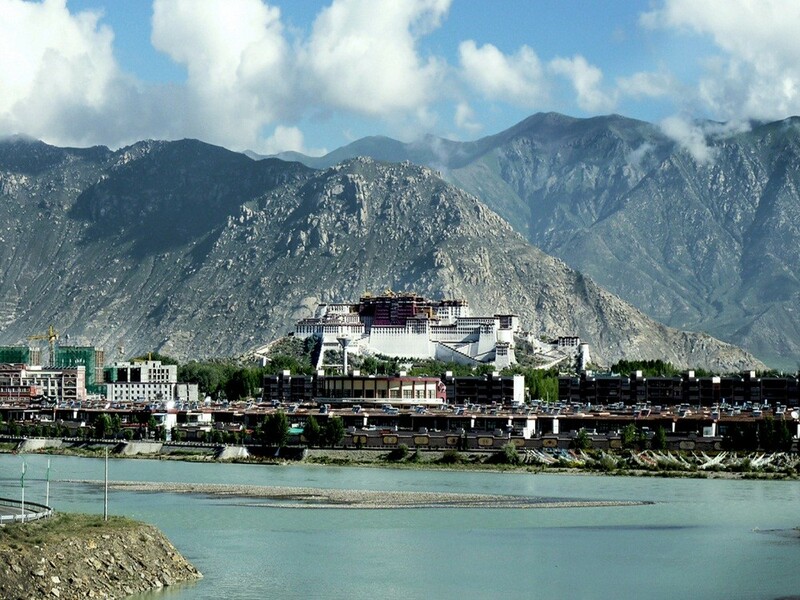 Central Tibet tour provides you with the breathtaking views of Himalayan ranges including Mt. Everest (8,848m), Cho Oyu, Makalu, and Shishapangma. Central Tibet tour starts from Kathmandu through "Friendship Bridge" to Tibetan border within 6 hours drive after immigration formalities in Tibetan border. The Tibetan Overland Tour approximately takes 1000 km distance with good services by Tibetan guide. You can fly direct to Lhasa from Kathmandu. Central Tineb tour is one of the best tours that provides you the views of ancient landscapes, village settlements, lifestyles, culture and monuments of Tibet. Day 1: Kathmandu to Zhangmu (2300m.) to123 Km. Day 2: Zhangmu to Xegar (4350m.) to244 Km. Day 3: Xegar to Xigatse (3900m.) to244 Km. Day 4: Xigatse to Gyantse (3900m. )to 90 Km. Day 5: Gyantse to Lhasa (3650m.) to259 Km. Day 6: Sightseeing tour at Lhasa. Day 7: Sightseeing tour at Lhasa. Day 8: Transfer to Gonggar airport for your onward flight to Katmandu. Airport-hotel-airport transfers for International and domestic flights. All meals during trekking in Nepal. Sleeping tents with a mattress, dining tent, Kitchen tent, toilet tent, chair & tables. Gamow bag ( hyper pressure bag) for emergency purpose. Nepalese Sherpa cook, kitchen boy, and camp staff. Daily wages, insurance, food for trekking staffs. Accommodation in guest houses/lodges on twin sharing with breakfast in Tibet. Standard hotel in Shigatse and in Lhasa. English speaking Tibetan guide, all entrance fees. 1 land cruiser for transport in Tibet. Accommodation, Lunch, dinner, and refreshments. Airfare Kathmandu- Nepalgunj- Simikot and Kathmandu - Lhasa. Any cost arising due to landslides, political disturbance, strikes, cancellation of flights, deviation in the program.